Two days seemed like an eternity. To sit in complete silence. In my own thoughts. With no conversation with the outside world. This is the girl that can’t sit still (or quiet) for very long. 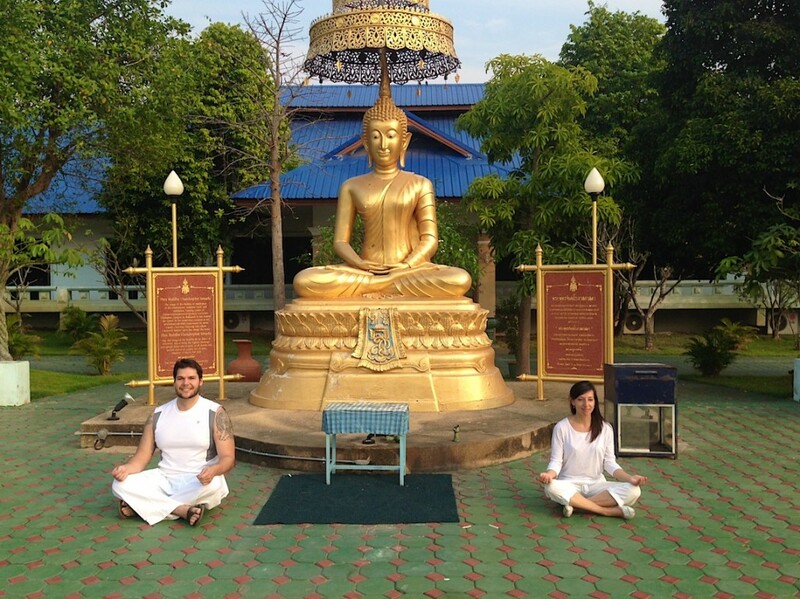 I wasn’t confident I could pass a meditation retreat in Thailand. 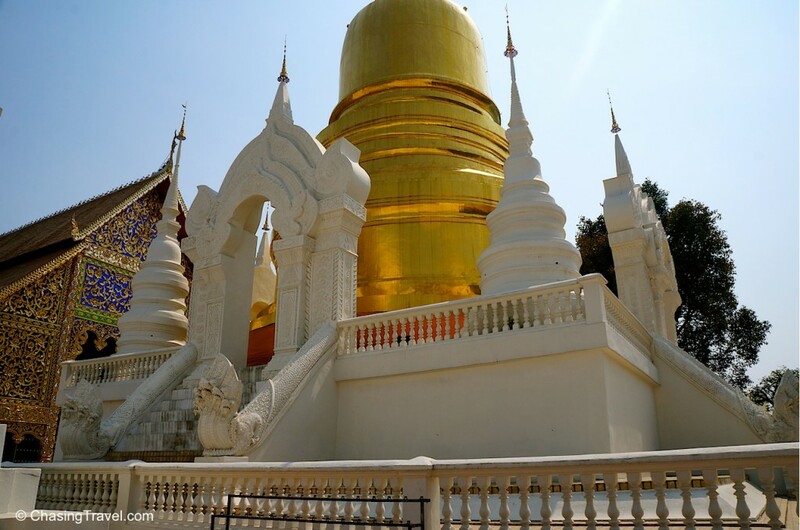 In Chiang Mai, Dan and I decided to push our inner limits and test our occasional attention deficit – we signed up for a two-day silent Vipassana meditation retreat. 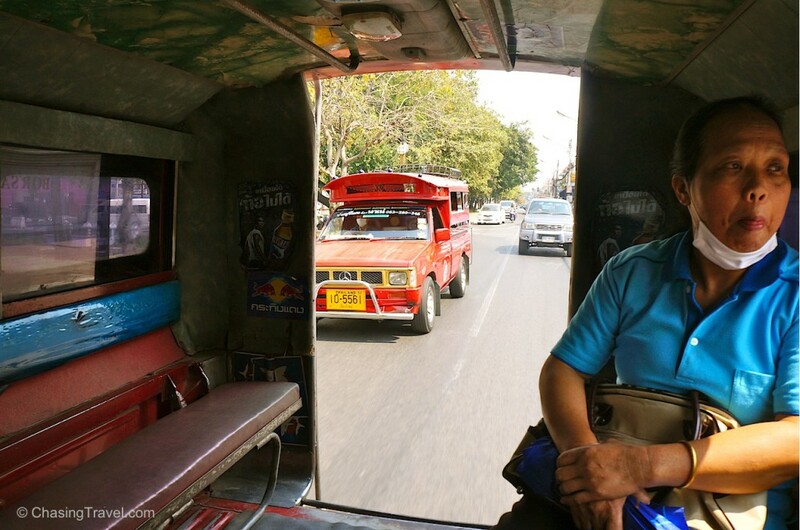 We hopped into the back of a red songthaew taxi to meet our monk teachers at Mahachulalongkornrajavidyalaya (say that three times fast) the Buddhist University in Chiang Mai at Wat Suan Dok. We met a lovely retired couple (neighbours coincidently from Ottawa near our hometown of Toronto) before we headed for the retreat at the Monk Chat, about an hour away in the countryside of Chiang Mai. The rules were no talking, no electronics, no wifi, no reading, no writing – in other words, no thinking. These are the rules of Vipassana, an ancient Buddhist meditation technique. 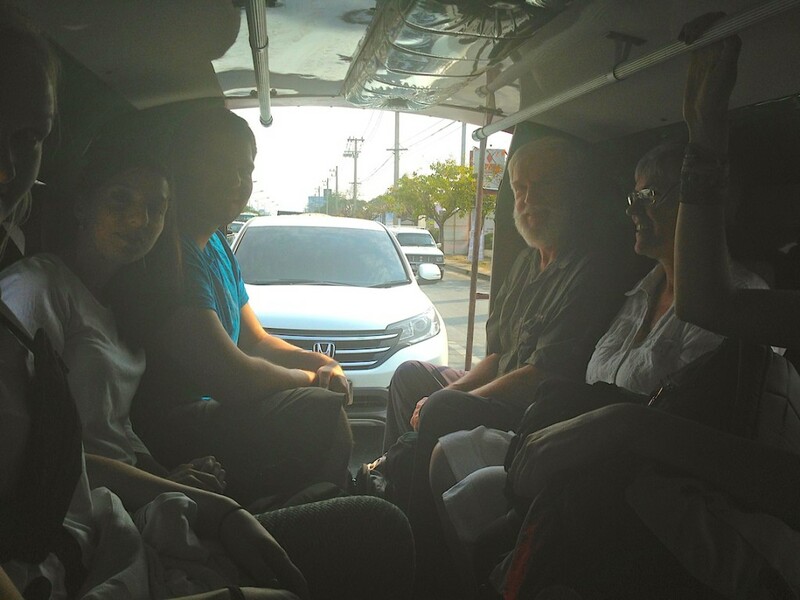 Tuk tuk ride to our retreat with a fellow Canadian couple from Ottawa! Wat Suan Dok. You don’t have to be Buddhist to go to temple. 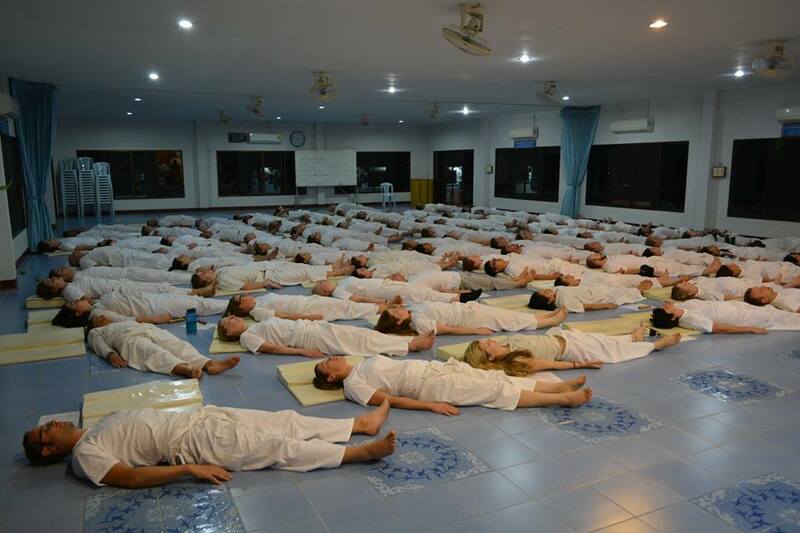 Vipassana meditation is used by Thais and Buddhists as a way to purify thoughts, eliminate suffering, and “train your mind”. Our monk teacher (or “Pra”) Joelee calls it “mental food”. Just like we use medicine to treat ourselves when we get sick, food to nourish our bodies, exercise to stay physically strong, and take showers to stay clean we also need to take care of our minds. Meditation is about relieving our mental and emotional imbalances. It helps a person become less angry and sad; to feel at peace, and achieve mindfulness. 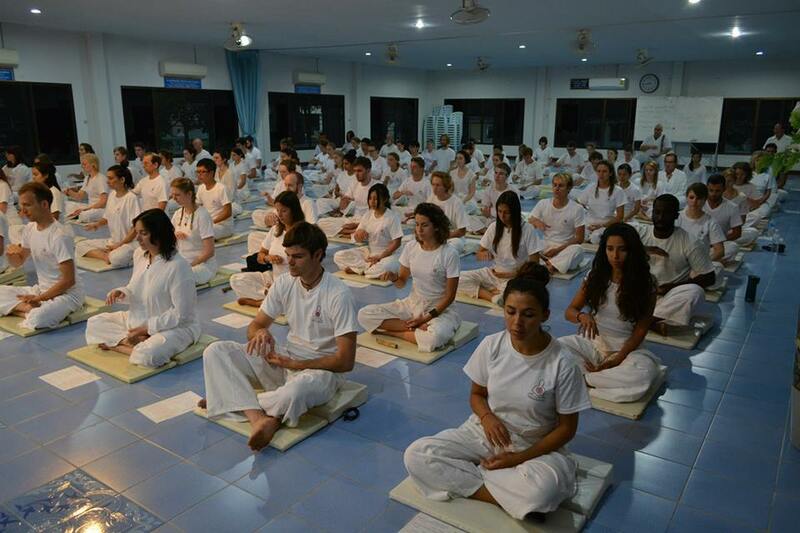 When you arrive, you must dress in white – it represents calmness, purity and helps make meditation easier for your mind. Before you begin meditation, you pray to the Buddha (praying is not the same as in other religions – it is about asking the Buddha for good luck and positive teachings rather than worshipping a higher being). 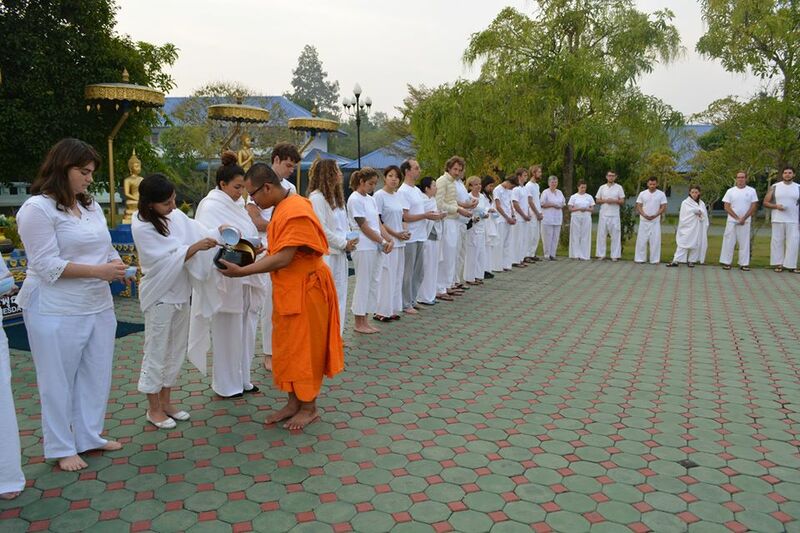 We placed our palms together in the “Wai” position and bent forward three times: first to pray to the Buddha, second to the Dharma (teachings of the Buddha) and third to the Sangha (followers of the Buddha). There are four positions of meditation – sitting, standing, lying and walking. You can choose any of these methods to help train your mind. My first time meditating was a challenge. 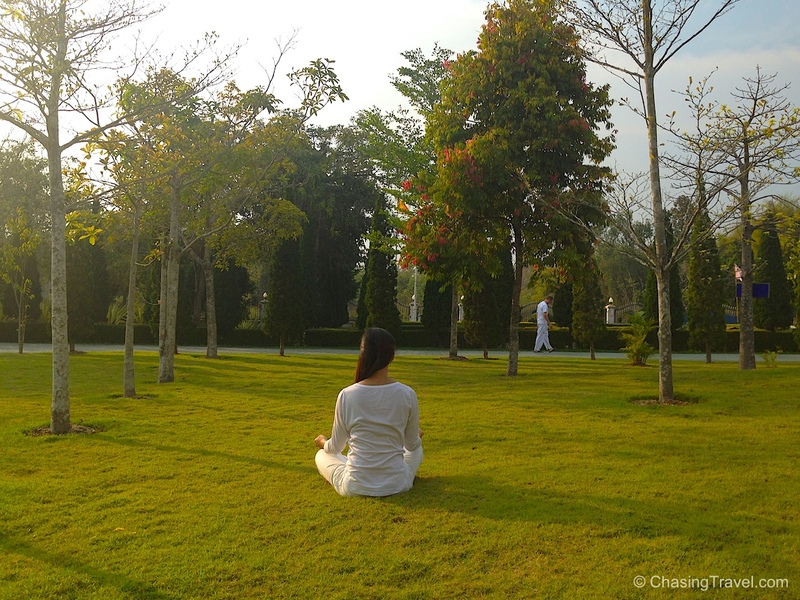 We practised meditating at 10 minute intervals – but it felt like an hour. I closed my eyes and sat cross-legged, silently in lotus. I had lots of thoughts running through my head like what would we have for dinner? or how long before I get tired sitting in this position? 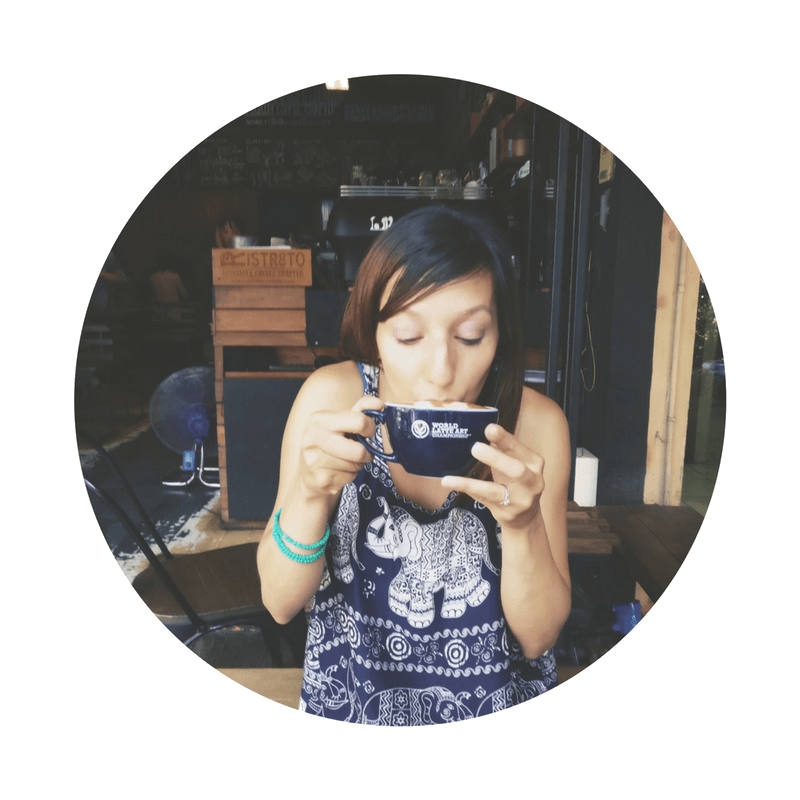 I kept getting side tracked from my own thoughts by the sounds in the room – you could hear pin drops, people breathing and any slight movement by someone else took me out of the zone. Tip: If it’s a thought or a sound that distracts your meditation, acknowledge it and then repeat to yourself the word “thinking” or “hearing”. At first, this technique cleared my distraction but then I started thinking of myself saying “thinking”. After a few repeats it does help you return back to your breath. The second time felt like 3 minutes and it got easier to meditate. Once I accepted the distractions I was thinking, feeling, or hearing around me I was able to concentrate on my breathing again. Tip: It’s important to be in a comfortable position or you’ll be too distracted by how uncomfortable you feel and it will be harder to concentrate on your mind. I liked the sitting meditation, in lotus position with my right foot on top of my left knee but lying meditation was my favourite. I’m not going to lie – I did fall asleep once in this position but Par said it’s okay – as long as you learn to relax your mind and yourself. Tip: A trick to prevent dozing off is to touch your toes together. After an hour of breathing meditation it’s time for dinner. We’re told, in Buddhism, you should never eat for pleasure and that eating is for function, purely to fuel our bodies for energy. Despite what we’re told, we were served a delicious Phad Thai. I appreciate the principles of Buddhism, but I love food way too much so I don’t think I could be a very good Buddhist in this area. It was bizarre to eat in silence and pretend not to like your food, although you do become more mindful of the taste of your food. The ingredients on your dish and the different flavours on your palettes when you eat in silence are much more heightened. But I was trying hard not to like it. 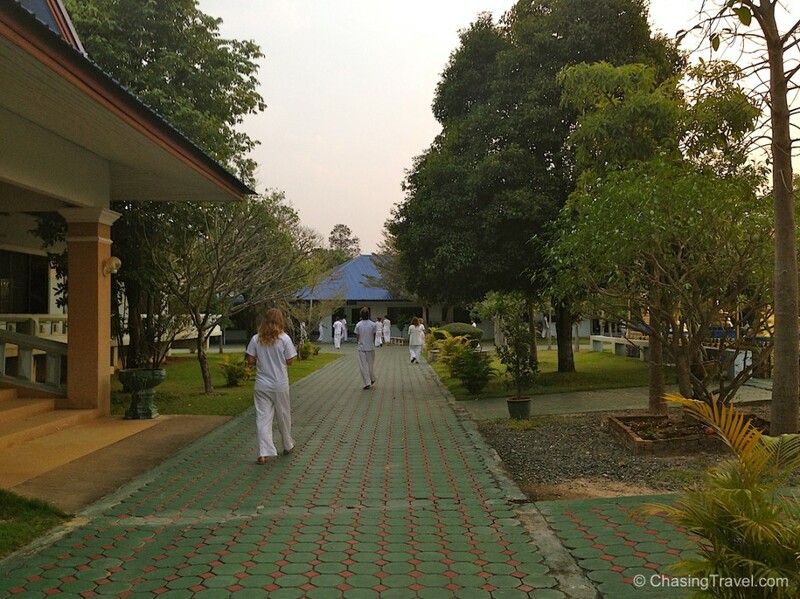 Over the next two days we would wake up at 5am to the morning gong, do tai chi (I failed miserably at this), practise our walking meditation, give alms, and take time for group and self-meditation outside on the lawn. I didn’t like the walking meditation. It means my eyes stay open and I get easily distracted by what’s around me. 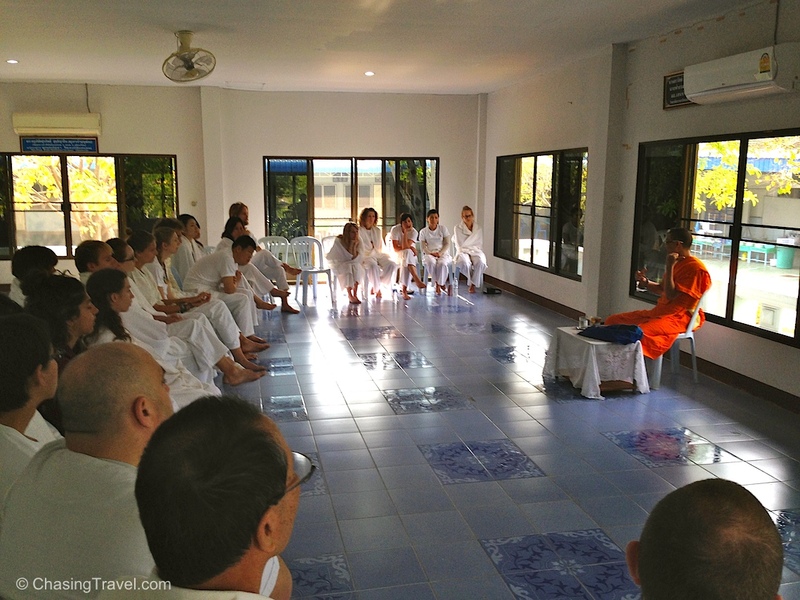 The Monk Chat is also a chance to interact with real monks and learn about Buddhism. You have a chance to find out what life is like as a monk and ask them questions in an open, non-judgemental dialogue. 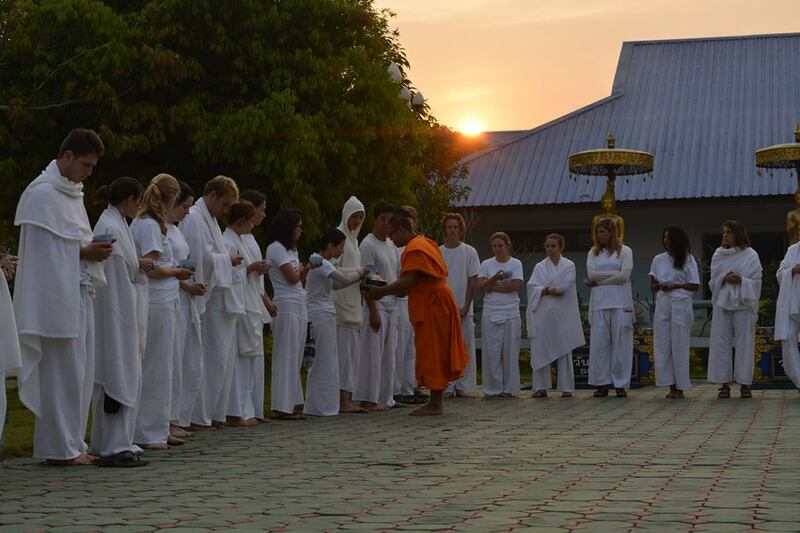 My own pre-conceived notion before coming to the retreat was that Buddhism was an orthodox religion and its followers try to convert you into some kind of cult. But Buddhism is a philosophy, not a religion. It’s about relieving suffering, promoting goodness, and a lifestyle of thinking and living positively. Homosexuality, ladyboys, and trans-gendered doesn’t matter – it’s about being good. The more we attach ourselves to something the greater we suffer. Try to live simply. If someone gave you incorrect change, instead of being angry, consider a different perspective. Maybe your loss just helped improve someone else’s life. Buddhism accepts all religions if it helps to heal suffering. Real monks don’t try to convert you to Buddhism. These are “punk monks”. Eating meat is okay but you should acknowledge and appreciate the animal’s suffering. We should give presents to mothers on our birthday. Childbirth is painful and mothers endure suffering but despite all the pain, they still forgive their kids for the suffering. Don’t acquire more than you need. Don’t take more than you eat. Spread goodness to create good. Help others. There are 3 things to be a good person: be good in your speech, thoughts, and actions. Spread your love and kindness always. Forget the bad, focus on the good. If you make a mistake learn to forgive. Forgive yourself, then accept that no one is perfect and forgive others. The more you forgive the more you will feel good and consequently, the more you will feel happiness. Learn to let it go. My initial feeling was that I was scared of my own silence, not knowing if I could stay long enough to “clear” my mind but it’s impossible to control your mind to be completely empty. It’s not what meditation is about. As soon as I focussed on my breath and put myself in a comfortable position I could get my mind to a point of relaxation and ease. I wish I learned what deep meditation feels like but that takes years of practise. Being in complete silence is really not so bad. Despite my initial worries, I found it very peaceful and I appreciated the escape it gave me from the distractions of my high-tech, constantly connected life. It was a nice two days “away” to unplug and feel more connected in my own thoughts. I highly recommend the Monk Chat retreat. 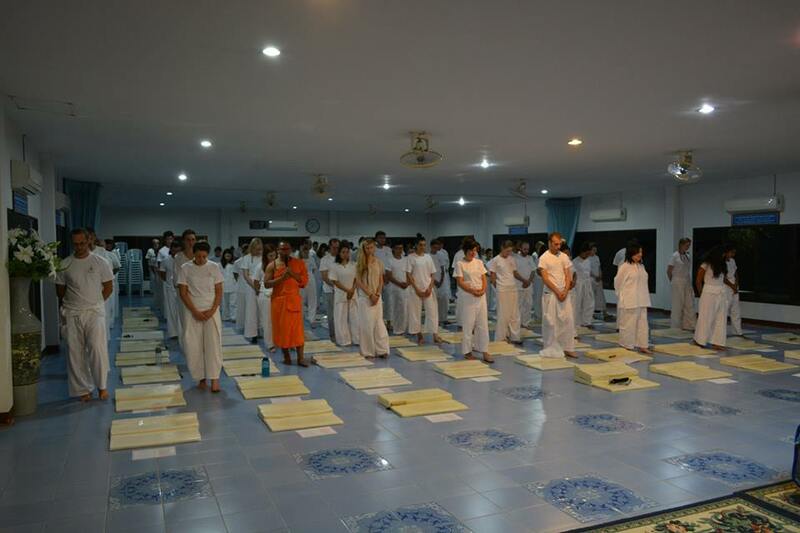 If you never practised meditation the Monk Chat is a good start for beginners, to learn the foundation and techniques so you can take them back home. 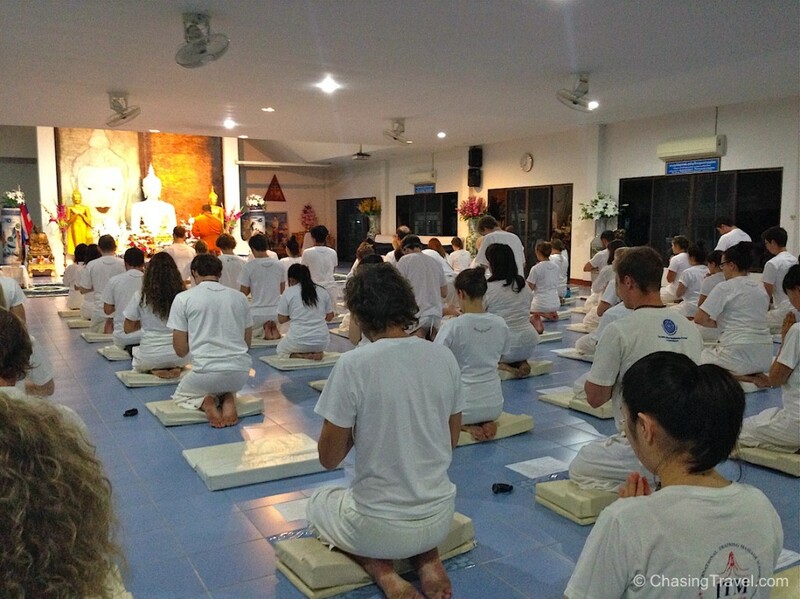 The Vipassana meditation retreat at the Monk Chat takes place every Tuesday and Wednesday. The meeting point is at the Buddhist University in Chiang Mai at 1pm. The retreat is very affordable – only 500 baht (about $15) which includes your overnight stay and all your “undelicious” meals. I emailed about one week in advance to reserve our place. White clothes but if you don’t have any you can purchase them for 350 baht ($10). White sweater for chilly nights. 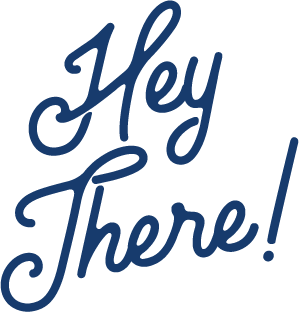 Hi J, thanks for stopping by! It was actually quite affordable, only 500 baht (about about $15) and that included our overnight stay and all meals. If you have a chance, I highly recommend the experience!